Multicolour Hot Handle Holders, Set of 2 For the ultimate in cooking comfort we recommend our two piece set of silicone lined Handle Holders. 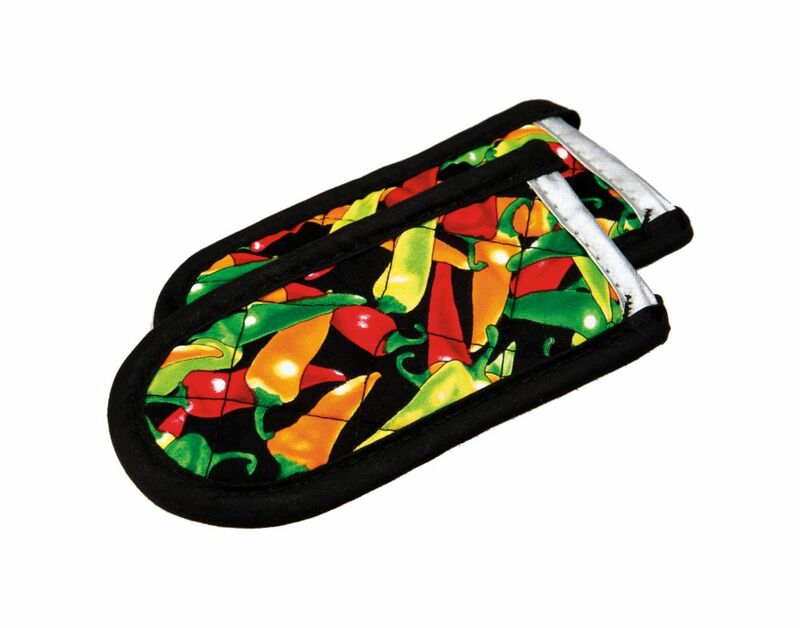 Multicolour Hot Handle Holders, Set of 2 is rated 5.0 out of 5 by 3. Rated 5 out of 5 by YorkieVilleMom from Versatile and cute Too protect my hands. Rated 5 out of 5 by Gina from I would buy this product again! Love these little Handle Holders!! Rated 5 out of 5 by John Kasz from Very Handy to Have These are nice to have in any kitchen. Pot and pan handles get hot on stove tops and of course in ovens. The Handle Holders easily slip on and off, letting you safely move your hot pan. For extremely hot temperatures, an additional pot holder may be necessary, but these will help insure you have a safe grip. They work great with the cast iron cookware.